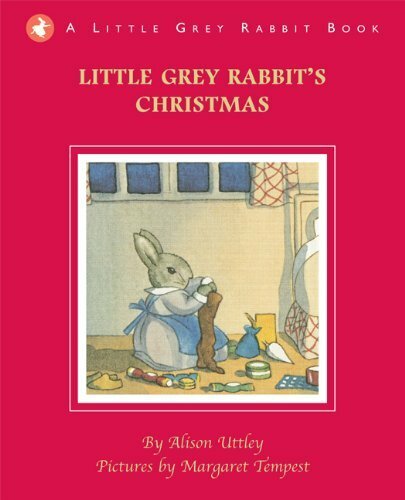 I loved the Little Grey Rabbit stories when I was younger and I still have my childhood copy of Little Grey Rabbit’s Christmas, my edition is from 1978. The stories are now being republished for another generation of younger readers to enjoy and for the older generation to revisit! Little Grey Rabbit lives with Squirrel and Hare in a little house at the end of the wood. Their life is simple, their friends are the woodland animals and simple childhood pleasures fill their days. This story includes all the traditions of Christmas, woodland style, and leaves you with a really warm Christmassy feeling. It’s a snowy Christmas and the animals go sledging before going inside to decorate and bake mince pies. Carol singers come to visit, Moldy Warp’s woodland Christmas tree is beautifully decorated with real candles and the emphasis is on giving presents and being kind to one another. There is humour in the story too, Fuzzypeg, the little hedgehog, makes us laugh, especially when he tries sledging and my daughter thought that the mysterious creature that scared Hare in the dark was hilarious! The illustrations take us back to a bygone age and Templar have retained the original layout of the book which has a sturdy, embossed cover that looks a lot more Christmassy than my older edition. Each illustration is in a small frame and captures the excitement of Christmas and all its seasonal preparations. I love the picture of Little Grey Rabbit filling the stockings (which is the cover picture on my copy) and my daughter’s favourite is the picture of Fuzzypeg in a snowball. 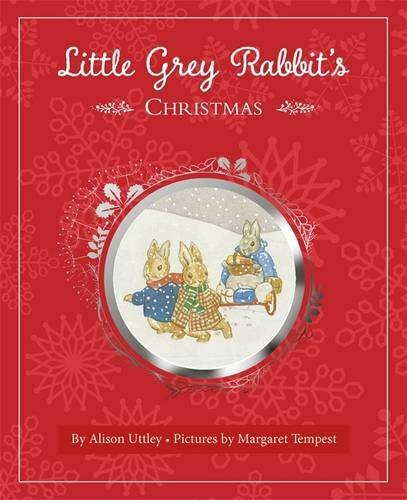 Little Grey Rabbit’s Christmas is a really gentle story about friends spending Christmas together and with its emphasis on giving and sharing it beautifully encompasses the essence of a traditional Christmas. The book is also the perfect size to fit in a Christmas stocking! 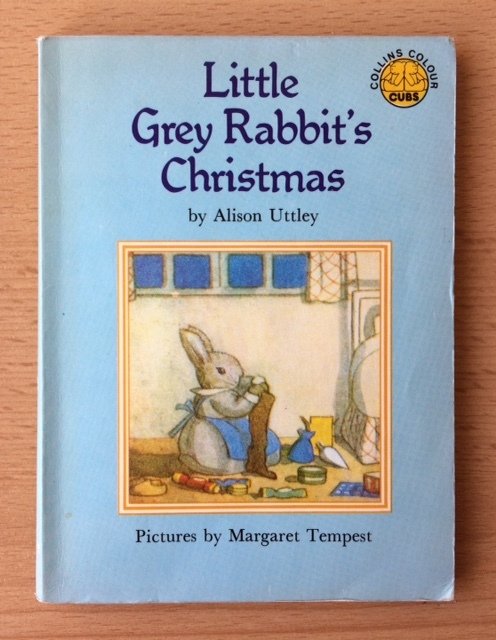 Thank you to Templar for sending us a copy of Little Grey Rabbit’s Christmas. It’s been lovely to share a childhood favourite with my daughter and we look forward to reading the other Little Grey Rabbit stories. Oh wow! What a blast from the past. I am sure I can remember these books from years ago. How lovely! I’ve not heard of this one, but it looks so sweet and I like that they’ve kept the more traditional illustrations, too. It is lovely when timeless classics are republished and I still love Margaret Tempest’s gorgeous illustrations. I don’t think I have come across these before – but they look lovely. I’ve not heard these stories before, they do look very sweet though and how wonderful that they’ve brought them back for a new generation to enjoy. Maybe I’m showing my age, these stories were a big part of my childhood!